IT WAS A TOUGH MATCH AND THE GIRLS TRIED AS HARD AS THEY COULD. It was really snowing as we warmed up but luckily it stopped just before the match began. Holmer Green won the toss and they chose to start with the ball. They ran up the wing past two of our players but Kianah made a super tackle and Eva collected the ball just before it went out. Eva passed to Ellie and they were both running up the wing, we nearly scored but they had a strong defense and didn’t let anything through. Holmer Green got hold of the ball, Lucia tried to tackle but they tripped her over and she was off for the rest of the match (she had a good run). Holmer Green ran up the pitch and scored. The whistle blew, it was half time. The goalie Heather swapped with Amelie for the second half. We started the second half the ball. 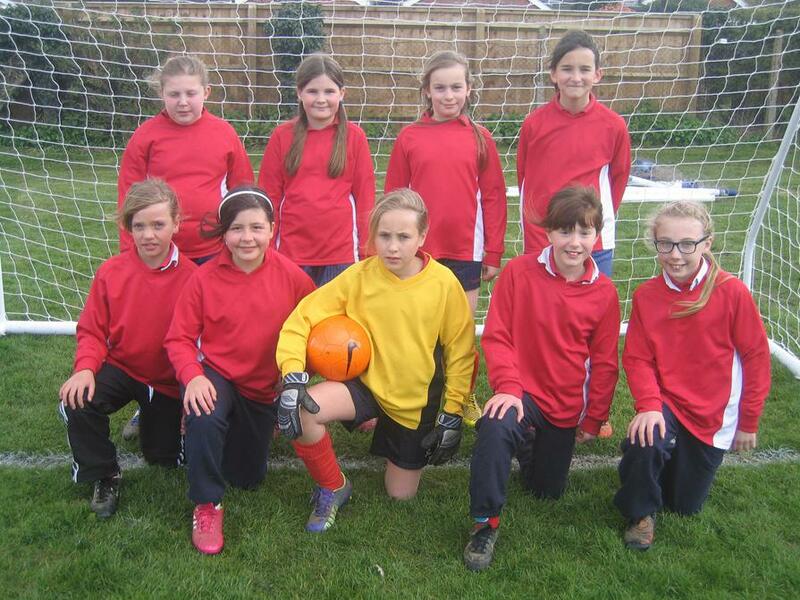 Heather and Ellie were on a super run, passing the ball between them, they were so close to scoring a goal but Holmer Green's goalie was excellent. Another goal was scored by Holmer Green. Finally, the whistle blew and the match was over.